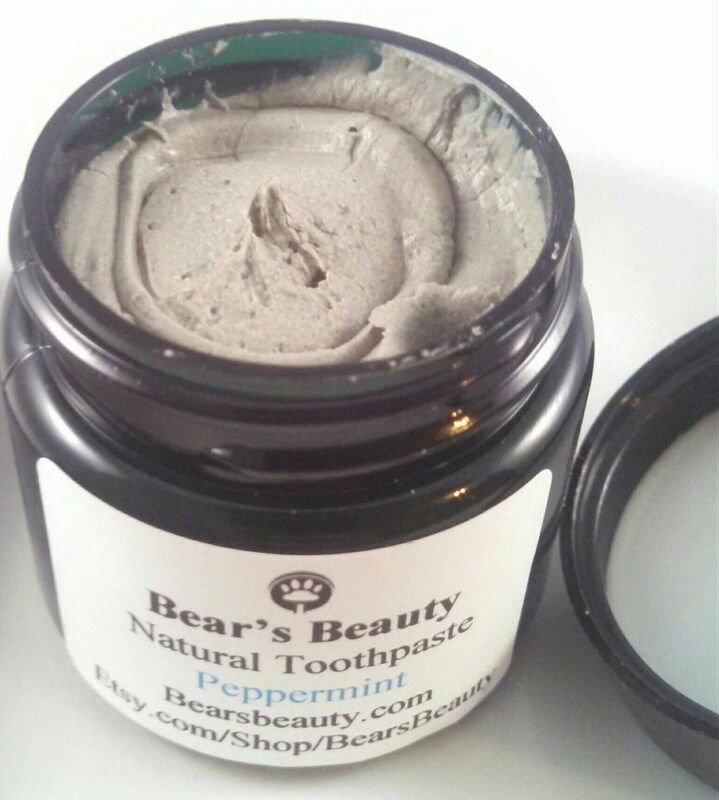 PEPPERMINT EXTRA REMINERALIZING TOOTHPASTE | Peppermint | Silver + Theobromine Come together to clean and protect teeth. Gentle clay-based polish gently polishes teeth and leaves breath fresh! This has all the arsenal of holistic oral care in one spot! My whole life, I struggled with sensitive teeth and hated strong flavored toothpaste. I just wanted clean teeth and to be able to drink cold drinks. Natural toothpaste changed my life. While this paste does create the ideal environment for remineralization and provides bio-available minerals, your saliva does the remineralizing. Enamel cannot be "rebuilt." Protecting your enamel means keeping your mouth alkaline as often as possible. Brushing often, especially after eating and drinking, is the best way to keep your mouth healthy. Oil pulling, rinsing with pink salt, flossing, and cleaning your tongue are all integral parts of healthy oral care. This is great for everyone! + Safe for sensitive teeth and gums! A combination of minerals and clay restore balance to your mouth without chemical junk. By brushing often, controlling your diet, and flossing often, you can keep your mouth healthy. I reduced my intake of processed foods and sugar, and used this paste, and have dealt with my tooth sensitivity and pain. I also encourage a tongue cleaner and salt rinse. - Winter Formula is Temperature Sensitive and will liquefy at 72 Degrees. ★Brush your teeth with a combination of minerals and clays that help polish away plaque and keep gums healthy. ★Paste formula uses Himalayan Pink Salt and Organic Coconut Oil to gently polish and balance. ★Great flavors + even unflavored! ★This is an epic paste for sensitivity + cavities + sore gums. This is my favorite! Tastes great! ★Minerals + Cocoa Extract + Himalayan Salt strengthen teeth and encourage remineralization + healthy gums. ★Your saliva is what remineralizes your teeth, but this makes your mouth the perfect PH to do so. ★Coconut Oil + MCT are rich in Lauric Acid to fight bad breath and bleeding gums. ❤This is my favorite for daily use. My teeth always feel clean, great along with WHITENING CHARCOAL POWDER. ❤One of the most cost-effective and easy to use oral care option available. ❤Worried about abrasivity? Don't be! There is this thing called the "Mohs Hardness Scale" that is essentially a rating system for how hard or scratch resistant a material is. The scale goes from 1-10, one being the softest and ten being the hardest. Tooth enamel is rated a 5 on this scale. The minerals in this paste rate between a 2-3. 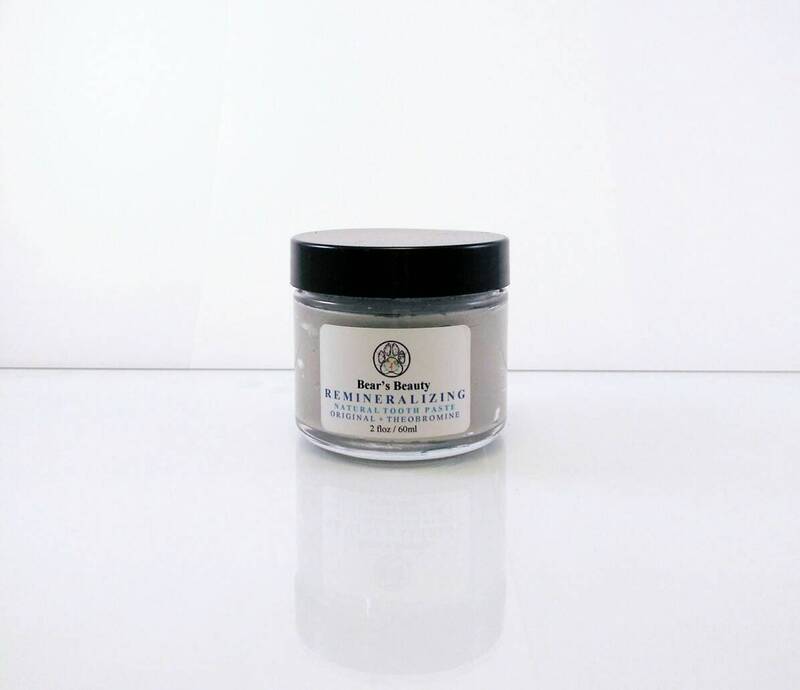 ★Bentonite Clay is rich in Calcium + absorbs toxins + polishes teeth : The clay is velvety and smooth to the touch, even dry. ★Himalayan Pink Salt provides vital minerals and makes them available to your teeth as well as keeps your mouth alkaline. ★Calcium Carbonate polishes teeth + provides bio-available calcium. It is soft and smooth, almost like chalk dust. Nothing harsh or abrasive. ★Organic Stevia makes this paste sweet without damaging teeth like sugar or glycerin. ★Trace Minerals from the Utah Salt lakes help strengthen teeth. Theobromine is extracted from Cocoa and recent research shows it is better at strengthening teeth than Fluoride! There is a paste on the market that charges $100 for less than 4 oz of toothpaste with Theobromine. Every 2 oz jar contains 350 mg of Theobromine. It does not have a chocolate flavor. Salty and slightly sweet, not sugary or strong mint like commercial paste. Apply a pea-size amount to wet brush with clean + dry tool, begin brushing and then re-wet the brush. Do not get water in the jar or dip your brush in the jar, as this will contaminate the product can cause it to spoil. Because the clay absorb water, you may want to add water to get a "foaming" effect. Some separation is natural, shake or stir before each use. External Use Only. Keep away from kiddos (it is safe for ages 2+ with adult supervision, I just would not suggest leaving your child alone with what is essentially a big tube of mud in the hands of a toddler) and pets. Discontinue use and consult your doctor if irritation occurs. Avoid Eye + Mucous Membrane contact. Consult a Physician if you are pregnant + nursing. All statements above are for information purposes, Bear’s Beauty does not make any medical claims. Products not intended to diagnose, cure, treat, or prevent any disease or ailment. The information provided by Bear’s Beauty has not been evaluated by the FDA. All products are intended for Cosmetic Use Only.